Sarah’s signature style combines the movement and flow of Vinyasa with the deep relaxation of beginning and ending with Restorative. This is the most effective way for people to feel the effect of a balanced yoga practice. After years of teaching both styles separately Sarah found that by combining them more people are able to relax, learn effective breathing techniques and have chance to move, all of which benefit our stressed out modern population! What is Restorative Yoga. . . Letting yourself feel supported, having the experience of releasing tension through stillness. Restorative Yoga is the perfect antidote to stress. We all need this. 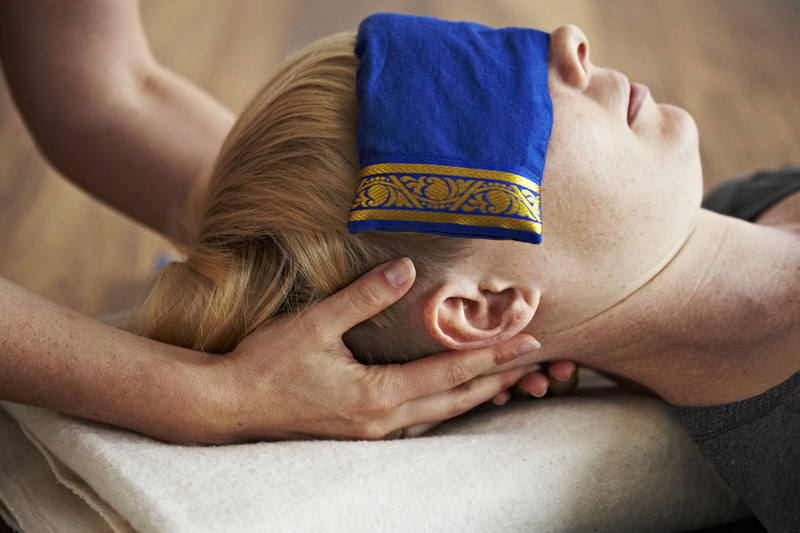 A mix of TLC and practical therapy for whatever ails you. I use props to help your body relax, and when done right your mind will let go too. Being comfortable is the key to coaxing your nervous system into a state of non-doing. From there when all settles you might glimpse the amazing state of non-being. Bliss, communion with the divine, or maybe just relief from your aches and pains. Calming and soothing this type of yoga will leave you relaxed. Restorative yoga is a therapeutic style that uses props to support the body, encouraging deep relaxation. Using passive yoga asanas we let our nervous systems shift and enjoy the benefit of true rest. Different from more active styles, we will concentrate on surrendering our weight to supports and softening. This helps us to relieve the effects of negative stress encountered in daily life, and can be highly beneficial in times of fatigue, illness, and emotional strain. Our focus will be to calm and nurture ourselves on all levels during the class. 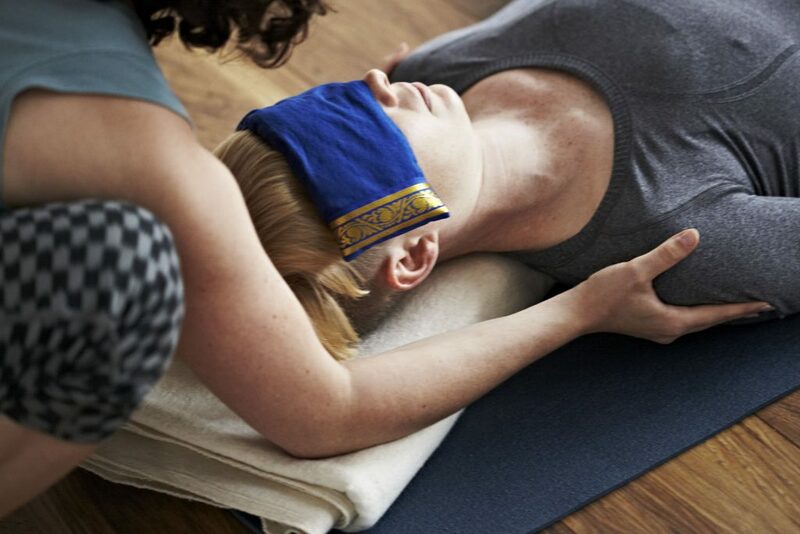 The conscious relaxation techniques taught can be used outside of the yoga room as well, encouraging us to take our practice off the mat and into the world. For all levels including pregnancy and most injuries. Vinyasa means linking, it is the style of transitioning from pose to pose through a sequence. In this style the breath is ideally steady, setting the pace for the transitions to each individual’s lung capacity. When the poses are linked there is a flowing effect, as if riding waves of breath while moving in and out of each yoga pose. If breath initiates the movement we receive the maximum stress physiological stress reduction.